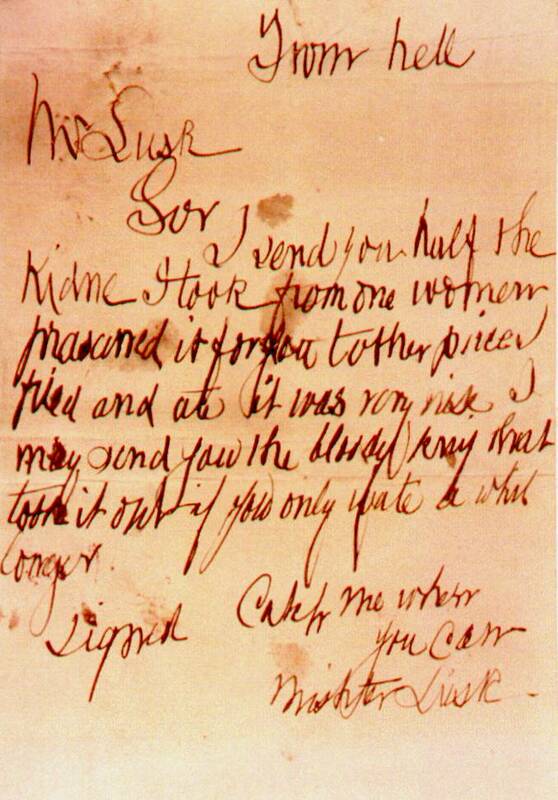 New research has emerged this week about Jack the Ripper’s infamous letters written to the police. Dr Andrea Nini, a lecturer at the University of Manchester, has analysed the linguistics of letters sent to the police during the notorious serial killer’s reign of terror. He has concluded that the two most famous letters; the ‘Dear Boss,’ letter and the ‘Saucy Jacky,’ postcard were written by the same person. There were more than 200 letters sent to the police at the time, but most are regarded as hoaxes. Dr Nini concluded that the similarities in the language and writing style used in these two examples, and a few lower profile letters indicated that they shared the same author. However, this does not necessarily mean they were written by the killer. It is equally likely that they were a pair of forgeries created by the same person. Last year, a team of researchers led by film director Bruce Robinson found a diary by Liverpool cotton merchant, James Maybrick, confessing to some of the murders, plus a murder of a prostitute in Manchester, was likely to be genuine. Dr Nini expressed an interest in analysing the diary in the future, but said “evidence suggests this is also likely to be a hoax”. Dr Nini said his research could “help forensic linguists to better understand the important issue of individuality in linguistic production”. He said his analysis could be used to test the Zodiac killer’s letters and he had already researched the topic last year, but in trying to identify the profile of the most likely author. The results were inconclusive. The Zodiac was a serial killer active in California in the '70s and ‘80s. Like Jack the Ripper, he sent letters to police and the press. Unfortunately, as with Jack, the Zodiac letters attracted many copycats which stymied the investigation. Analysis of the handwriting proved inconclusive and seemed to absolve one of the prime suspects, Arthur Leigh Allen, who died before the investigation could be concluded. However, Allen was ambidextrous and could have fooled calligraphy experts by writing the letters with his weaker right hand. Linguistic analysis could help the case, but Dr Nini said in both investigations there is little evidence outside the letters to suggest the murders were committed by the same person.